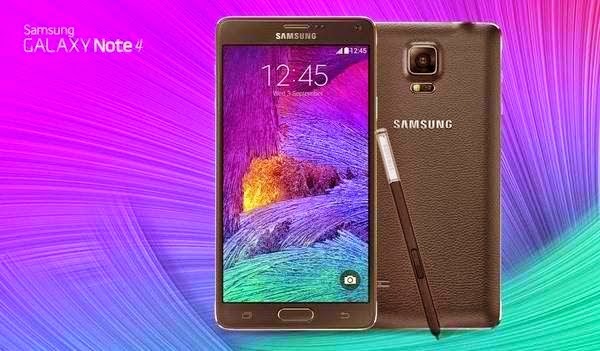 In line with Smart’s announcement of the Note 4's availability, Globe Telecom has also released its pricing and plans for the highly-anticipated Globe Samsung Galaxy Note 4. The new set-up allows customers to maximize the features of the inaugural Galaxy phablet with a complete postpaid plan bundled with access to lifestyle suites. For complete specs, check it here. 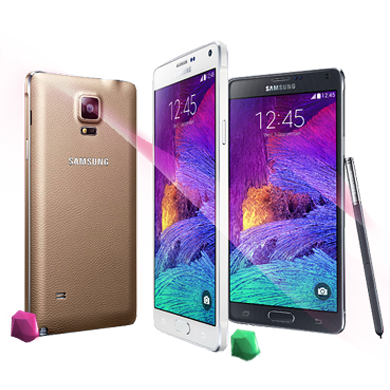 The Globe Samsung Galaxy Note 4 is available at Plan 999 with P900 monthly cashout. For just a total of Php 1899 a month, subscribers could get the Samsung Galaxy Note 4 with the Photo and Chat Bundles, giving them access to a set of lifestyle apps that connect them to mobile internet anytime, anywhere. The postpaid plan bundle also comes with additional 1.5 worth of GoSURF data monthly, free 3-month subscription to Spotify Premium, and free 1-month subscription to Gadget Care. With Globe Samsung Galaxy Note 4 Photo Bundle, customers can access Instagram, InstaSize, PhotoGrid, and Photo Repost, allowing them to take and edit photos, make collages, as well as add captions and filters using the 16 megapixel rear camera, 3.7 megapixel front-facing camera, and wide selfie mode of the Samsung Galaxy Note 4. The Chat Bundle, on the other hand, gives customers access to the world’s top messaging apps FB Messenger, KakaoTalk, Line, Viber, WhatsApp, and WeChat, connecting them to their contacts not just from other networks but also from around the world. Using the S Pen’s Elaborate Brush Effect with calligraphy feature, Globe Samsung Galaxy Note 4 users can share their notes, scribbles, and photos to their contacts all over the globe with the Chat Bundle. “Discover your creativity with the Globe Samsung Galaxy Note 4 best experienced with Globe mySUPERPLAN and our suite of lifestyle bundles which give you access to your favorite apps, allowing you to make the most out of the device’s amazing features. With Globe, we guarantee you the best smartphone experience all the time as we continue to bring innovation in our wonderful offers and customer service,” said Raul Macatangay, Vice President for Postpaid Business and Devices at Globe. Strengthening its foray into offering customers data plans that give them a differentiated browsing experience and value for money, Globe launched Lifestyle Bundles, its latest suite of mobile internet plans that give postpaid customers access to a specific set of applications or apps depending on their needs and interests. The Navigation Bundle, available for only P99 a month, gives customers month-long access to apps such as Waze, GrabTaxi, Google Maps, MMDA, and Accuweather for a hassle-free transport experience around the city. The Chat Bundle, which gives customers access to messaging apps such as Facebook Messenger, Viber, KakaoTalk, Line, WhatsApp, and WeChat is available for only P299 a month. Those who use their devices for work and productivity can avail of the Work Bundle, available for P299 a month, which provides access to Evernote, Gmail, and Yahoo Mail, plus free 10 GB Globe Cloud storage that will let them back up and access their messages, contacts, presentations, and other files from any device. Customers into shopping and e-commerce can subscribe to Shopping Bundle, which extends access to sites such as OLX.ph, Ayosdito.ph, eBay, and Zalora, also for P299 a month. These subscribers also get an extra 5% off with their purchases from Zalora. Finally, customers into taking photos and images can avail of the Photo Bundle, which offers access to Instagram, Photo Repost, Photo Grid, and Instasize for only P299 a month. The navigation, chat, work, shopping, and photo bundles can be availed as a combo service charged to consumables, or as an add-on booster service charged on top of the monthly service fee (MSF). Postpaid customers can also avail of month-long access to Facebook for P199 a month, Twitter for P199 a month, and Spotify Premium for P299 a month, all charged as add-on booster services on top of the plan MSF.